The Crafting Kids website is born out of the urge to share my experiences of hands-on parenting to my two year son- Shaunak, to share my research and findings with inspired parents like you and help you connect with your child in whatever small ways I can. When Shaunak was around 1.8 years we moved to US for over a period of 6 months. And this turned to be a turning point in our teaching-learning approach. Things were pretty easy in Hyderabad. He had ample space to run around in the apartment, 6 big cartons of toys which I rotated in different rooms on monthly basis, extremely friendly neighbours to go to, and friends came home often! I also have one complete room dedicated to crafting, where I and Shaunak spent most time of the day, he played with the crafting tools, we drew and painted together. But as we shifted to US with just 4 bags, things changed. I felt unresourceful many a times. Initially we invested in high end toys only to realize that the fascination ended in two days. Shuanak turned two in June 2015. He started growing up fast, asking us questions, seeking answers, his imaginations did amaze us. First two months in US I spent clueless wondering how to engage him. He went to playschool 3 hours of the day but most of the time of his day, he spent with me. There are millions of resources on the internet and zillions of activities that can be done, but they only confused me. I had no idea which approach to follow, something that would be interesting for me to follow and which would satisfy and encourage Shaunak's curiosity. I took online classes to learn about different educational approaches. From what I learnt, I decided to follow the Montessori approach to engage Shaunak at home. I spent several hours researching about these words like gross motor, fine motor, cognitive, which, before few months sounded like jargon. After my research and learning , I realized I knew my child much better. Read my post here about Montessori inspired learning and activities. To know about the different skills to be developed in a baby/toddler, read my post here. I would love to hear and learn from you. Tell me your experiences with your babies and toddlers, what worked for you and what didn't. 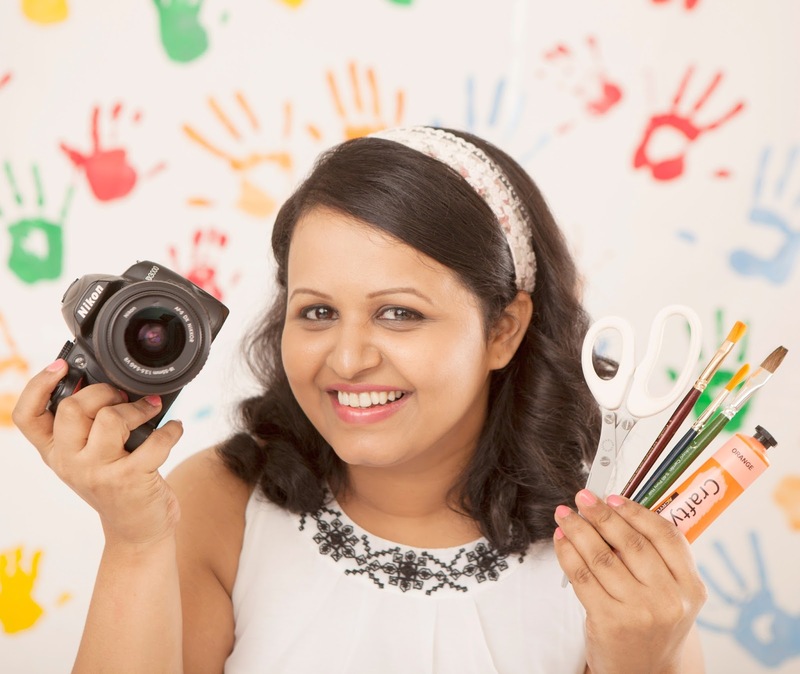 I am Shreya Okhde, a hands-on Mom and an entrepreneur by profession. I have post graduate degree in Computer Application (MCA- Master of Computer Application). After working for 6 years in the software industry I joined an international school as an IT teacher and an International-activities co-ordinator. This experience enriched me in many different ways. I am now a proud owner of Shreya Design Studio, a product and service based firm. I am a paper crafter by heart. My husband, Shashank works for an IT firm. He holds MTech degree from NIT Trichy and has been the best outgoing student of his batch. We are settled in Hyderabad since 5 years. We both are devotees of Indian classical music. He plays several music instruments like Keyboard, Mouth Organ, Flute, Guitar and is a graduate in playing Tabla. He is also a sportsman, be it Cricket, Tennis or TT. He has been a TT champion in tournaments in college and workplace. Shaunak is our heart beat, our life-line! He is 2 years now. He is a curious, energetic and a happy child. Our world truly revolves around him.